← Dumb and Dumber To Trailer is Here! Well played, Travis Jankowski. 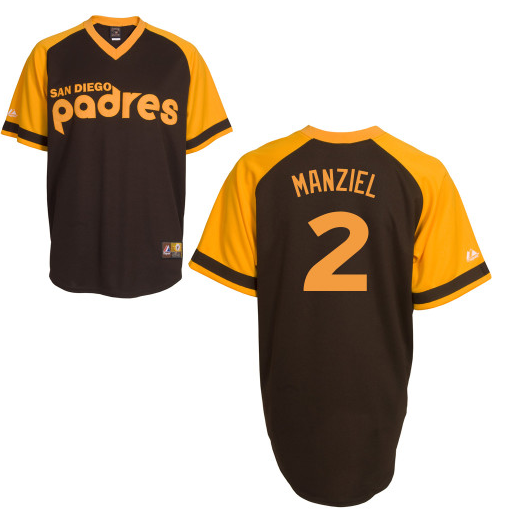 You can’t technically buy a Manziel jersey on Padres.com yet… but you can customize one, like this. How long before they’re officially selling and marketing them? Money talks. It’ll happen. Write it down. This entry was posted in Baseball and tagged johnny baseball, Johnny Football, Johnny Manziel, johnny padre, Padres, padres manziel jersey, Travis Jankowski. Bookmark the permalink.